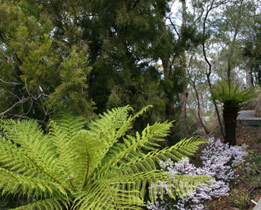 Inverawe is a Tasmanian garden landscaped along traditional landscaping lines. In 2001 this was 22 acres of weeds. Work commeced on the central section and that is the most developed part of the garden. Work continues on more far flung areas. 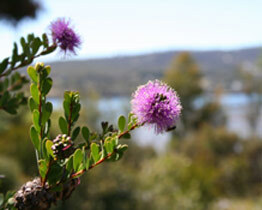 You wont want to miss the Secret Garden, or the Banksias, or the view from Rabbit Hill. From Rabbit Hill it's a short stroll to the whimsy of the sculpture garden. As one visitor said "I like the way the garden merges into the wider landscape". That's landscape design. 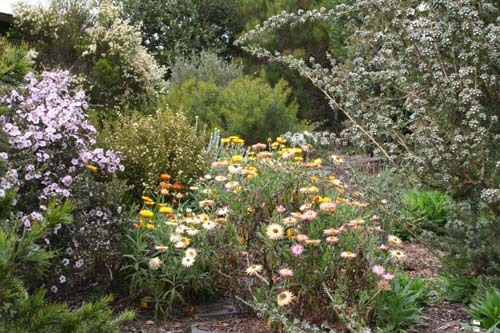 It's natural then that we have selected Australian native plants for the garden - 8500 of them, enhanced by natural regrowth in selected areas. 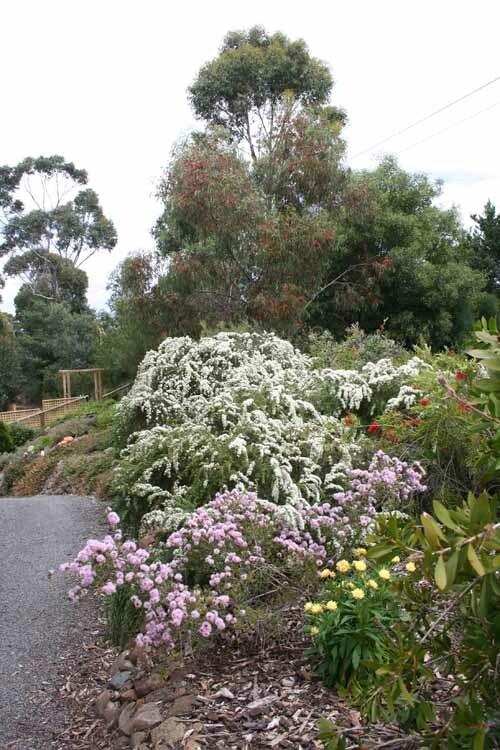 About 80% of plants are Tasmanians. You wouldn't think you are just 15 minutes from Hobart CBD. 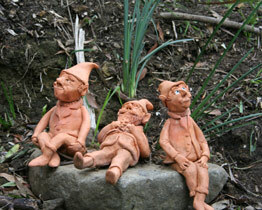 Visitors notice the changes in mood and theme as they move around the garden. 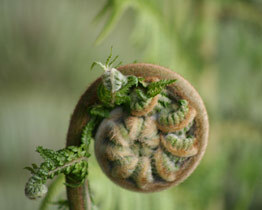 "The garden is full of all sorts of surprises", one said. Two visiting American lecturers in creative writing enjoyed reading the interpretation signs and the poetry. "If only we could get our students to write like this", they said. 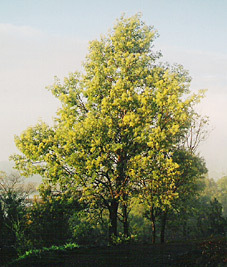 Inverawe is a sustainable garden. 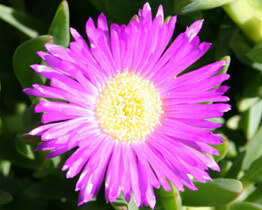 Native plants are water wise, low maintenance and require little in the way of fertilisers or other chemicals. There's nothing dull about natives, either. 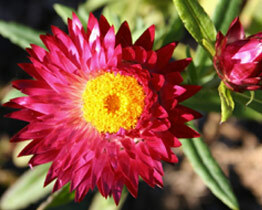 There are plants in bloom twelve months of the year. You'll scent the faint aroma of the essential oils that the sun teases from the leaves of many species and the distinctive, pleasantly understated perfume of the blooms. "When is the best time to visit?" people ask. "Anytime at all", we tell them. 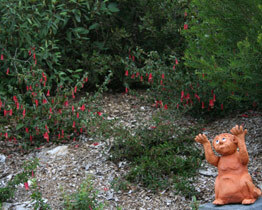 A native garden just doesn't have an off season. Inverawe is here when you're ready, waiting to inspire. 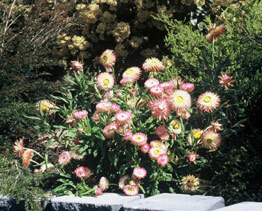 Pink and white Kunzia ambiguas, with paper daisies, bottlebrush and red flowering gum, top terrace. Summer maximum temperatures rarely exceed thirty degrees Celsius and winter overnight minimums are rarely less than minus two degrees. The ten year average annual rainfall is 709 mm, ranging from 459 mm (2006) to 1088 mm (2009). Light frosts are common in the cooler months and every couple of years we receive a light dusting of snow, which soon melts. Inverawe is much less windy than other parts of the island but the prevailing westerlies coupled with low humidity ensure that Inverawe is a dry temperate garden. Soil types vary. Much of the property is sandy, doleritic clay, occasionally overlaid with patches of grey sand. The lookout at Rabbit Hill is degraded basalt and the grasslands are riverine pasture. Soil pH is fairly consistent at around 6 to 6.5. Lack of organic material in the topsoil layer is a consistent issue throughout the property. We have added hundreds of metres of organic mulch.